Howdy spellcasters! Scraping Bottom Games is thrilled to announce that, after 15 months of development, Fictorum is now live on Kickstarter and Steam Greenlight! Additionally, we’ve made improvements to storm-type spells and have an awesome new main character marker for our world map. FICTORUM KICKSTARTER AND STEAM GREENLIGHT! We’re very excited to share our hard work with the video game community in what we hope will be a successful crowdfunding campaign. The team has put in overtime to get the game looking and running great, capturing in-game and developer interview footage, and writing the Kickstarter page. We’re simply stoked with how everything turned out and to get started with our campaign. We also launched our Steam Greenlight simultaneously. Be sure to check us out on there as well! 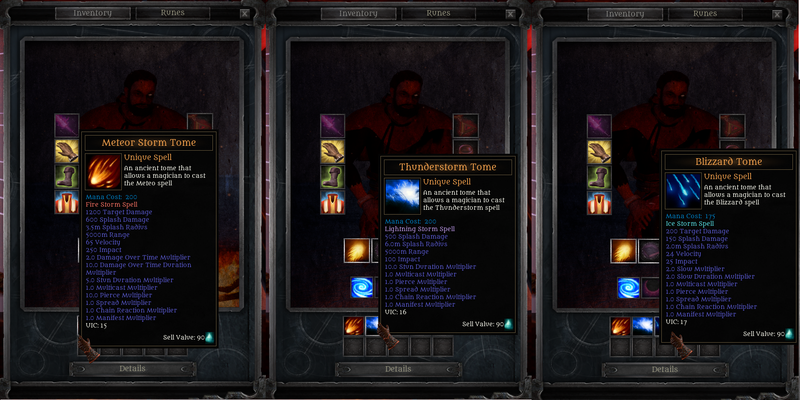 We’ve shown GIFs and videos of storm-type spells before, but they’ve been really inconsistent in their function and using piecemeal graphics and sounds. Chip spent some time cleaning these up and officially implementing them; the latest version of our alpha now has unique spell tomes that give you the power to reign down the elements on your enemies! The powerful spells require a massive mana pool to cast and, currently, don’t allow for spell shaping. Leif designed an awesome new map marker for the Fictorum. 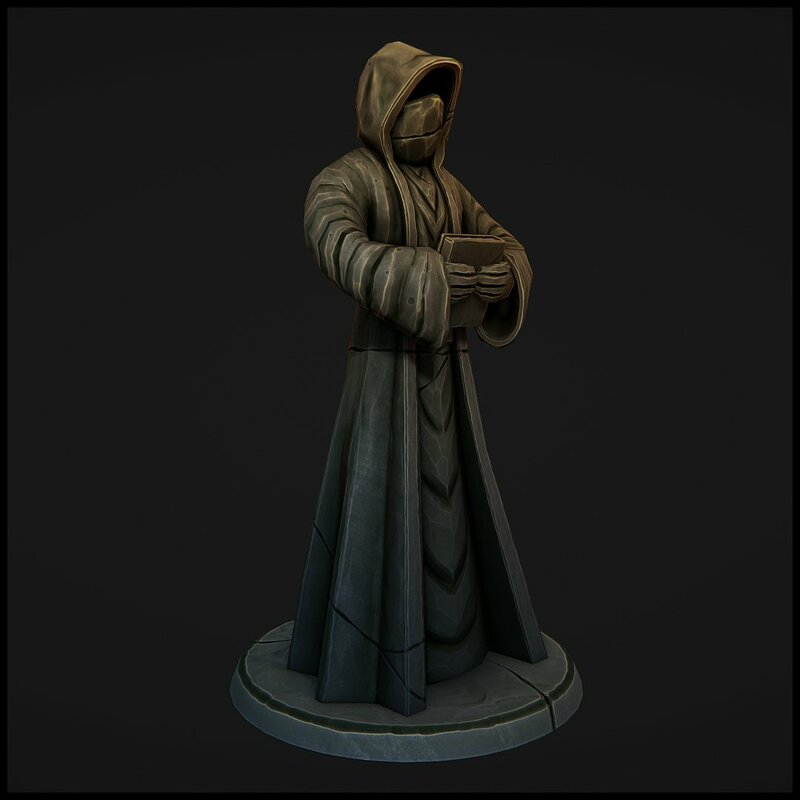 The hooded magician statue has an eerie and ancient look to it, and we love it! Chip added some particle and lighting effects to it on the world map. Check out this guy in action! We received over 50 requests for alpha copies of Fictorum in response to our closed alpha announcement we made last week and we couldn’t be happier with the resulting feedback, bug reports, and genuine enjoyment of Fictorum that we got in return. Thank you to all of you who participated! We’ll be hosting a launch party on our Twitch stream tonight (June 21) at 8pm PDT! Come have a beer with us to celebrate this milestone. As we currently have a stable build with all of the core systems complete, this is a fine time to put development on hold so that we can focus on interacting with our community. Over the next month, we’ll be writing up a few new articles fully detailing some of our major features.